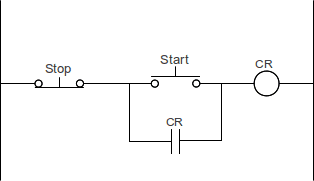 Looking at a stop start jog circuit in the PLC will help us in understanding the differences in hard wiring the circuit and programming. Lets start with the basic stop stop circuit. When the start pushbutton (NO) is pressed the power is passed through the stop pushbutton (NC) to the control relay (CR). The CR contact closes and ‘seals in’ the start pushbutton. The start pushbutton can now be released because the CR contacts allow the power to pass through to the CR. NO – Normally Open – This refers to the state of the input device if nothing acts upon it. NC – Normally Closed – This refers to the state of the input device if nothing acts upon it. 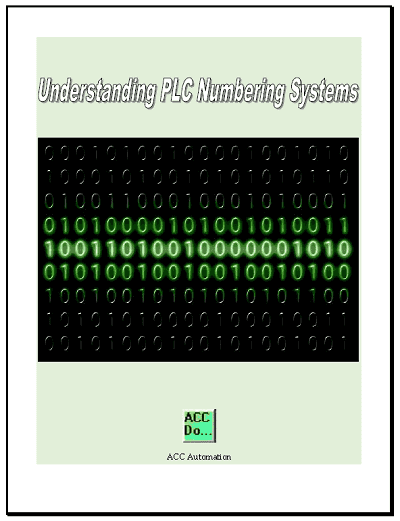 Lets take a look at the PLC program for the above wiring diagram. The first thing that you will notice is that the input for Stop is NO contact and not NC. This is because the actual signal wired in the input is NC and we do not want to inverse this signal. You can see that the stop input is currently on in the program. If we hit the start pushbutton then the circuit is complete and the output CR turns on. Letting go of the start pushbutton, the output remains on because the CR input seals in the start pushbutton. Pressing the stop pushbutton will break the circuit and turn off CR. Letting go of the stop pushbutton will return us back to the original state shown above. You can see that the diagram will work the exact same as the circuit above with the start and stop pushbuttons. The jog when pushed will break the sealing contact, and then make a bypass of the start pushbutton. This will keep the M coil on as long as the jog button is pressed. Letting go of the jog will stop the bypass of the start pushbutton which will stop M coil. When the jog returns to the original state M input will already be off so it will not keep M coil on. The action on the jog is referred to as a Break before Make device. The jog pushbutton will break the circuit before making another connection. Sometimes in programming a PLC it can be beneficial to think of the inputs as Make before Break. Inputs are made before the previous ones are broken. The programmable controller will scan the program from left to right, top to bottom. The outputs from the rung above are available to the rungs below. 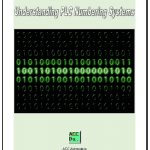 Here is a previous article on PLC scanning. Lets take a look at PLC program with a jog that will not work. Even though this looks like it would work… Remember that the contacts in the PLC are make before break. You can jog the unit and it will turn on but as soon as you release your finger off of the pushbutton the not jog input will seal the CR in. The output will not be able to turn off. We must consider the delay from on to off when looking at the PLC program for this circuit. Notice that we create a delay from on to off by turning on an intermediate bit in the program. 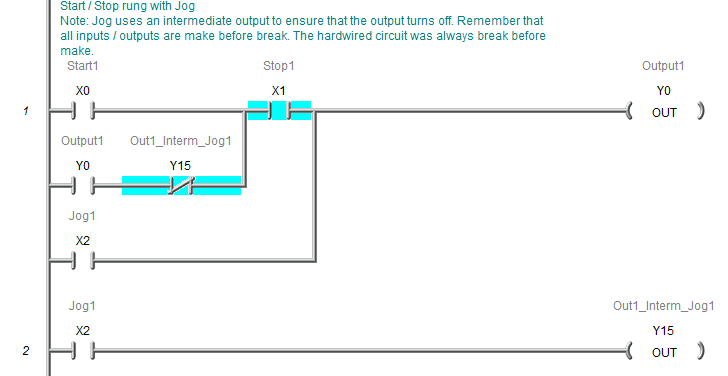 Another way to do start stop circuits in the PLC is to use the instructions Set (SET) and Reset (RST). The set will have all of the conditions to turn on a bit in memory and the reset will have all of the conditions to turn off a bit in memory. These instructions are used to make the program easier to view and troubleshoot. Here is the same logic above using the set and reset instructions. Notice that X10 Jog2 is in parallel with the Start. We use a trailing edge one shot in parallel with the Stop. This sets our delay so the output will turn off.